Black jersey dress: Topshop. 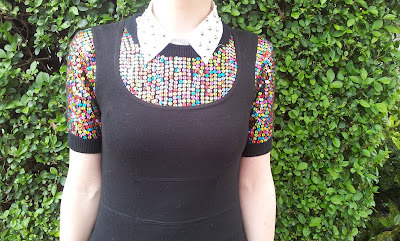 Sequin short sleeve jumper: Topshop. 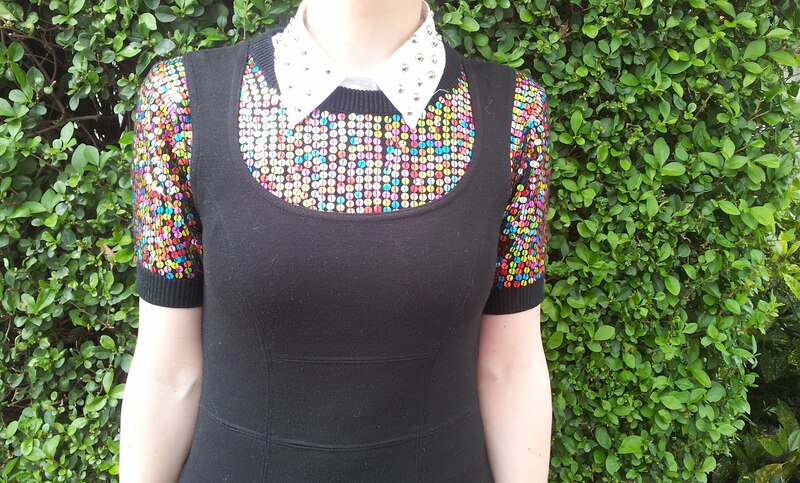 Shirt with customised studded collar: ASOS. 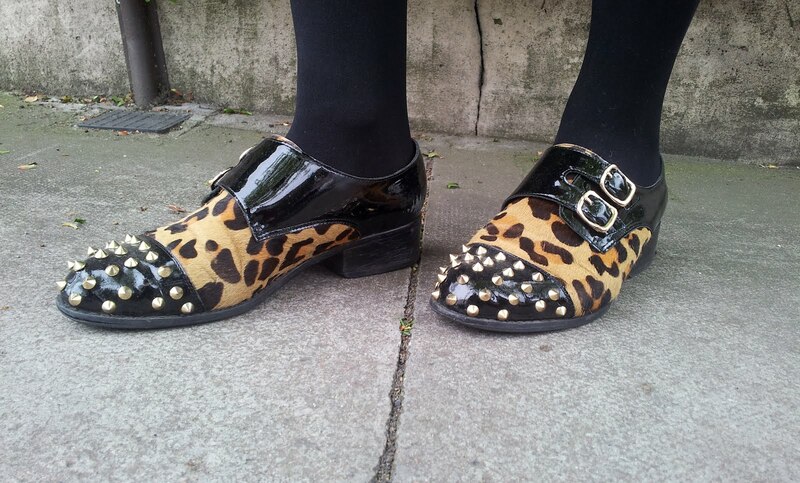 Gold leopard and stud brogues: Office.